Discover how to style our Mountbatten Holdall for both smart and casual occasions, and make sure you look stylish everywhere you go. At Whitehouse Cox, the Mountbatten Holdall is a staple of our collection. Used by celebrities, including Sir David Attenborough and Michael Palin, and in a unisex style and neutral colour palette that suits everyone, we think it’s a must-have piece. You can select from two sizes (20” and 24” ) depending on your needs, and enjoy the quality materials it’s made from, which ensures it’ll last for many years to come. 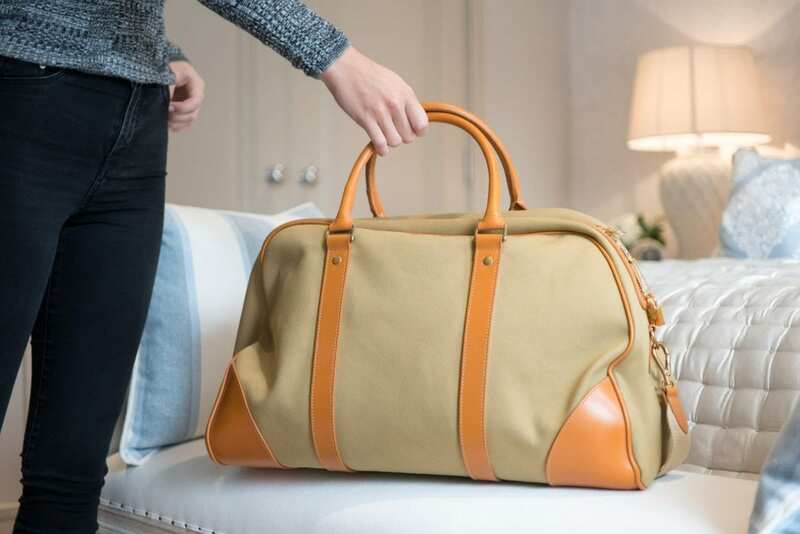 If you’ve realised that you need Mountbatten Holdall in your life, we want to help you get the most of it by using it as frequently as possible. To help you do that, here’s how to style it every day. 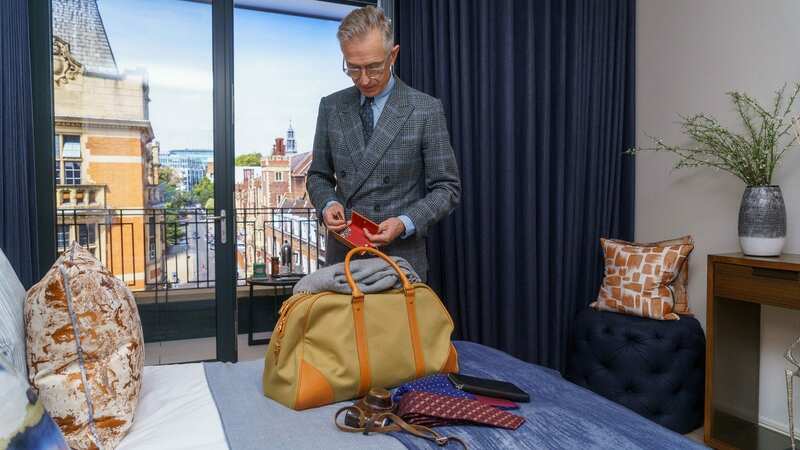 There are going to be times when both men and women need to carry the Mountbatten Holdall with a smart suit, whether you’re away on a business trip or heading somewhere for the weekend straight from work. To make sure the look works, we recommend holding the bag by the shorter strap, and focusing on your accessories. For women, match your heels to either the colour of the leather or the canvas, and stick to gold, warm-toned jewellery. Style down your suit a little whilst you travel with a pair of sunglasses, giving you an effortlessly chic travel look. For men, wear light brown shoes, along with a watch with a leather strap that compliments the colours of the holdall. We love the look of a tweed suit with our Mountbatten Holdall, creating a traditional, English-gentleman look. If you’re dressing down when wearing the holdall, you can use the longer or shorter strap – it’s up to you! As the bag has neutral-tones, you have the freedom to wear it with a variety of colours, though we do love the look of it when paired with a similar, neutral palette, or dark navy colours. For men, match your belt to the colours of the holdall, whilst women can wear a casual scarf that compliments the orange-brown and tan tones. For a sophisticated, timeless look, no matter the occasion, match your accessories to your holdall. 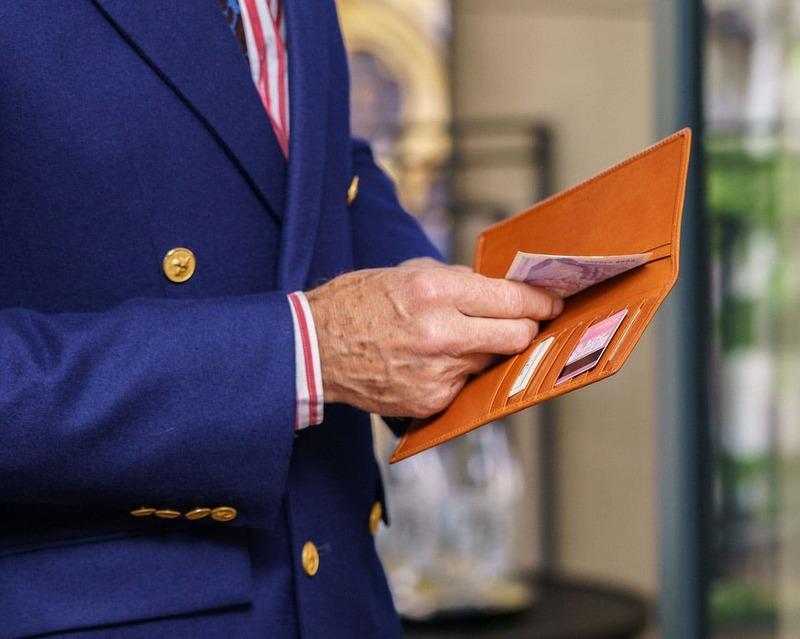 At Whitehouse Cox, we use quality leather for all of our products and have a classic English style that makes each item work well with the rest. For the Mountbatten Holdall, our West End Key Case in Newton is the perfect match, as is our women’s Medium Clutch Purse in Havana & Newton, and our men’s St James Wallet in the same colour palette. Get inspiration on how to style our Mountbatten Holdall by browsing through the full ladies’ collection or gentlemen’s range of products. If you have any questions about our brand or our quality leather accessories, don’t hesitate to get in touch with our team today.